The initial Honda Insight is a car I’ve wanted to drive for what feels like half a lifetime. 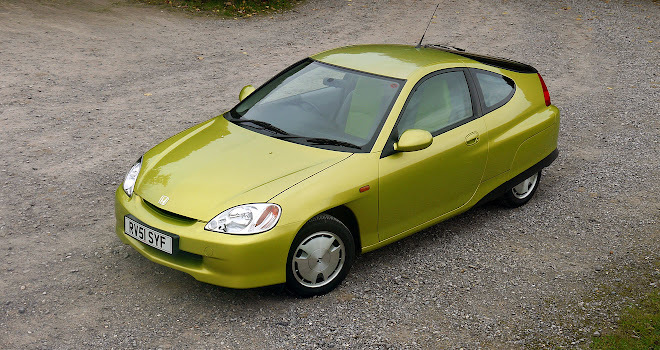 Launched in 1999, it may not have been the first production hybrid car (that prize belongs to the earliest Toyota Prius) but it was always the most enticing. It looked like a car that had driven straight from the set of a sci-fi movie. It still does. Futuristic tendencies run a lot deeper than the eye can see, too. 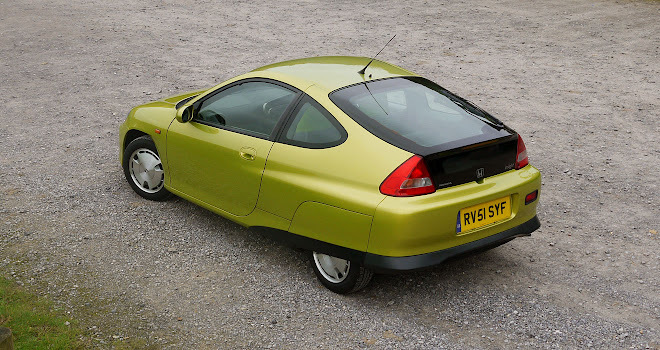 The first Insight included a host of weight-saving features, with aluminium used for much of the body, wheels, suspension and engine block. The inlet manifold, rocker cover and fuel tank were fashioned in plastic, while the sump was made from exotic magnesium. All of which resulted in a featherweight vehicle weighing just 835kg on the road. 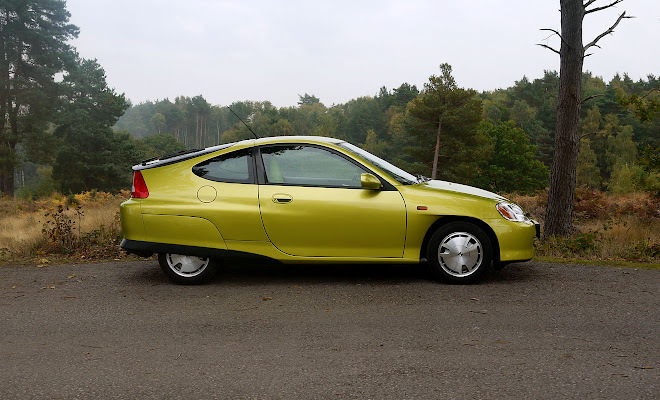 With only two seats in the cabin, the Insight’s roof curved away dramatically behind the driver to create a teardrop silhouette, while flush alloys, rear spats and a chopped-off tail contributed to a 0.25 drag coefficient – a figure that’s still pretty slippery today. 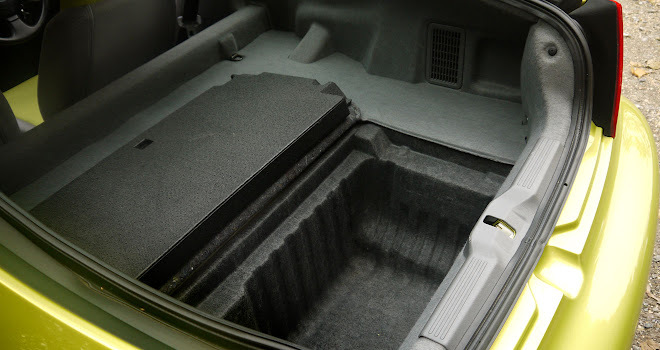 Behind the front seats a bank of nickel-metal-hydride batteries took up a rather large chunk of boot space, linked up to a 10kW (13.4bhp) electric motor squeezed between the engine and gearbox under the bonnet. The engine was a 995cc three-cylinder unit producing 73bhp. When pooling its efforts with the electric motor, the Insight could reach 62mph in about 12 seconds. The motor and engine were permanently connected, meaning the original Insight used its electric motor only to assist the engine – it couldn’t propel the car with the engine switched off. 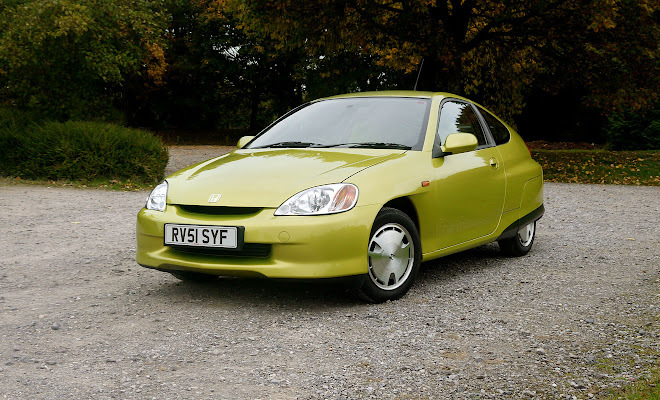 The pristine, 60,000-mile Insight shown in the pictures belongs to Honda UK, part of the company’s small fleet of heritage cars. It hasn’t led an entirely cosseted life – Honda acquired the car relatively recently from a private owner. This one is, in my opinion, finished in the best colour: a vibrant metallic shade called Citrus Yellow. 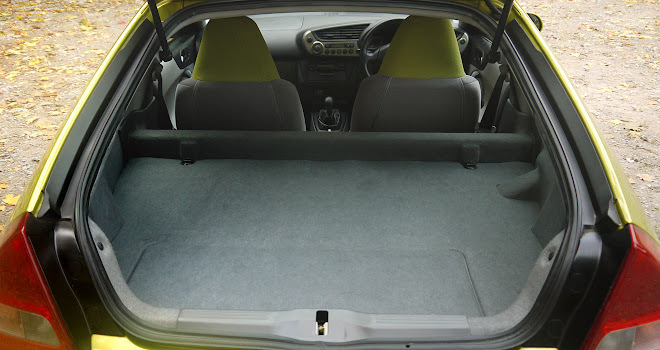 The interior features matching seats, upholstered in the kind of cloth more commonly used to make trainers. Once settled, the most disappointing aspect of this compact little car is that you can’t see its wonderful exterior from inside. You have to settle for the frequent admiring or quizzical looks received from other motorists. The now retro-space-age digital dashboard does compensate, reminding you that you’re driving something out of the ordinary. 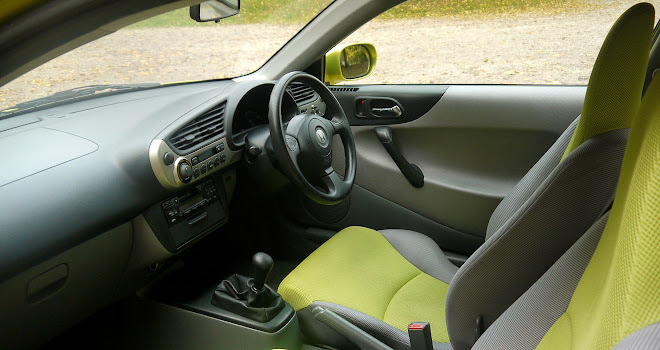 The slim steering wheel is fixed, with no adjustment up or down, in or out. The result is not uncomfortable but I found the Insight imposed a long-leg, short-arm driving posture that may not be to everyone’s taste. That’s also partly because you sit almost sports-car low, eye-to-elbow with other drivers. There is great all-round vision despite the typical hybrid tailgate with bisected glass. 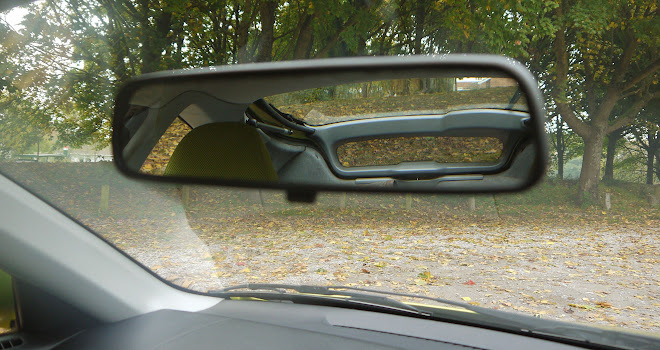 The upper portion alone actually provides enough vision when out on the road. With that glazed sloping tailgate, effectively half the roof is glass, creating a light and airy cabin, helped by the light-coloured fabrics. On the move the Insight provides a fairly hard ride, though soft seat padding soaks away much of the feeling of being jiggled about. Turn into a corner and you can feel how light and willing to change direction this little car really is. The brakes also feel reassuringly sharp and are much more linear than some much later hybrids I’ve driven, especially when drawing to a full stop. A charge/assist gauge among the instruments helps you to adjust your braking, to stay within the most efficient zone for regenerating energy. When the battery is completely topped up, the driver will apparently notice a reduction in the otherwise fairly aggressive feeling of engine braking, though that’s not something I experienced during my time with the car. The Insight is the first manual hybrid I’ve driven. 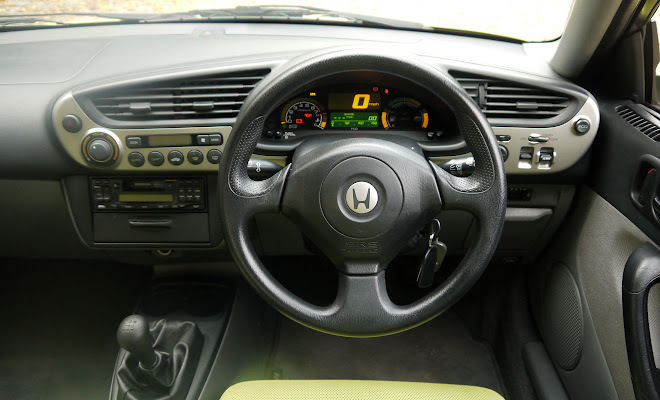 It serves up a fairly vague shift action – perhaps because this particular car has seen a bit of use – but a nice crisp clutch makes it easy to feel confident about pulling onto the busy roundabouts near Honda’s HQ. The engine shuts down whenever the car is put in neutral and starts up as soon as you slot into gear, to ensure power is available the moment you lift off the clutch pedal. The drive motor is employed to spin up the engine, allowing seamless restarts with no noise, delay or vibration. A little experimentation showed that the engine will switch off at about 20mph if you select neutral as you slow down on the approach to a junction. This coasting action is probably unwise even if it does save a bit of fuel. The instrument panel offers eye-catching shift hints both up and down, which seem focused on keeping revs at about 1,500rpm no matter what. They aren’t the most intelligent hints when the car is climbing hills, for example. You don’t have to travel far to realise that the Insight is no sports car. The instruments show how much the motor is assisting during acceleration, which is typically a lot, even if the result feels quite leisurely. You can also forget staying in the highest of its five gears on the motorway if you intend to overtake. The Insight really isn’t interested in gaining speed unless it’s first popped in fourth gear or lower. Lope along in the slow lane, however, and you can expect to reap rewards. 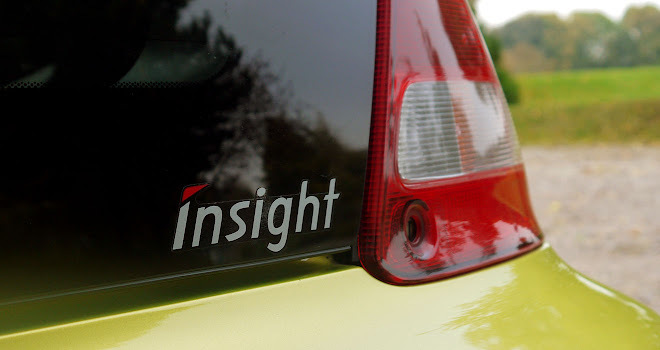 The Insight’s economy gauge averaged better than 70mpg when run at a steady speed on the motorway, even with aircon blowing. Driven in a relaxed fashion, the Insight feels a friendly and rewarding place to spend time. My test drive did highlight another wrinkle of the Insight experience. It’s called negative recalibration and happens because it’s virtually impossible to tell how much energy is currently stored in a NiMH battery until it’s either very nearly full or very nearly empty. Like most hybrids, the Insight can only estimate the battery’s state of charge by measuring how much energy goes in and how much goes out again. Over time, this estimate can drift away from reality to the extent that the battery gauge may show a half-full battery right up until the moment the car detects, by a sudden drop in voltage, that it’s actually almost flat. The car uses the voltage slump to recalibrate its estimate of how full (or indeed empty) the cells are. From the driving seat, you’ll witness the battery level suddenly slump downwards to nothing. The Insight’s electric motor also switches immediately into generator mode and starts siphoning power away from the engine to bring up the battery’s charge level. Leaving it flat risks damaging it. All of which translates into a sudden, unexpected and dramatic loss of power, to the extent that I thought I’d broken Honda’s heritage car until I realised what had just happened. The emergency charging phase only lasts a few minutes, but it does virtually cripple the car – I had trouble maintaining 30mph up a hill in a 60 zone. Not only do you lose the battery’s assistance, but you also lose engine power, because it’s sapped by topping up the battery. Other hybrids do negative recalibration too, including the Honda Civic Hybrid that succeeded the Insight. 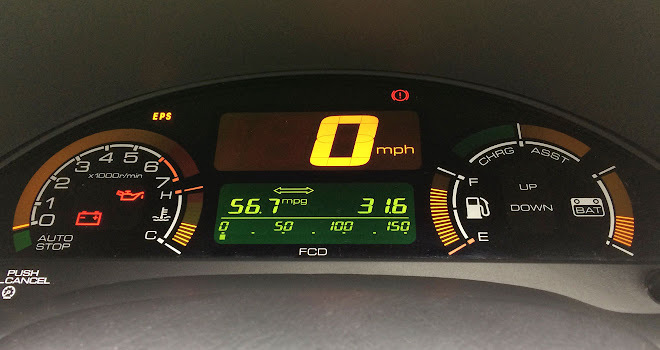 However, I ran a Civic Hybrid for five years and never felt a loss of power as severe as that in the Insight. Battery balance restored, I drove back to Honda HQ feeling a little less fond of the pioneering Insight than before. It’s a reminder that this really was a groundbreaking, pioneering car – a rolling laboratory that Honda happened to sell to the public. I shouldn’t really be surprised that its hybrid system was a little half-baked. This troublesome shortcoming is one reason why many original Insights have since been modified with third-party mains charging kits, to fill up the battery between journeys. Plugging in not only improves petrol economy, it also preserves full performance by encouraging the car to do positive rather than negative recalibrations – resetting the car’s charge estimate when the cells are full rather than empty. 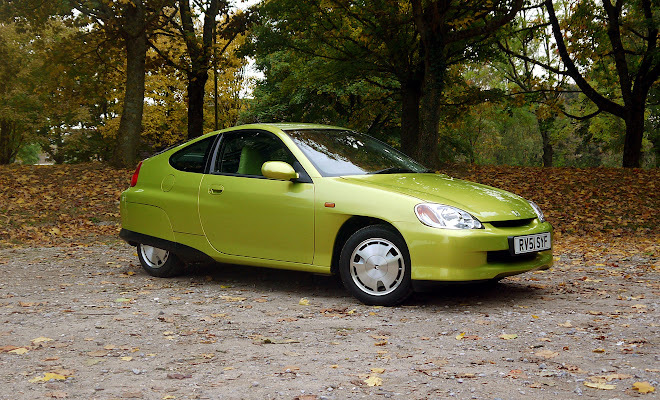 If you hanker for an original Honda Insight, plug-in adapted or otherwise, you may have to be patient. With only around 225 currently registered in the UK, and most of them loved by doting owners, you won’t find many on sale to choose from.